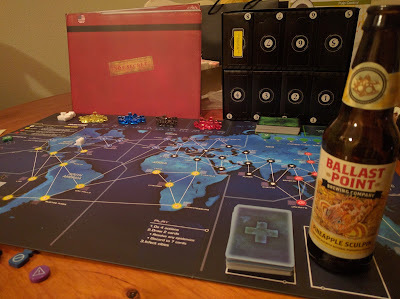 Let's first start with a tribute to Matt Leacock, who is the creator of the #1 board game of all time, Pandemic Legacy. He also created standard Pandemic and Forbidden Desert, which are all great games that I've already reviewed. 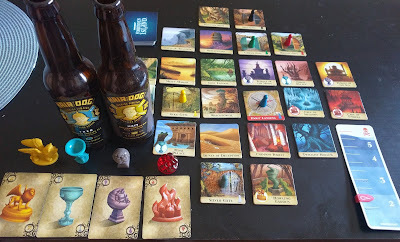 Today we are here to discuss the original game that came before all the others, and that is Forbidden Island. Forbidden Island is the first and most basic of all three games, which was later followed by Forbidden Desert and Pandemic. 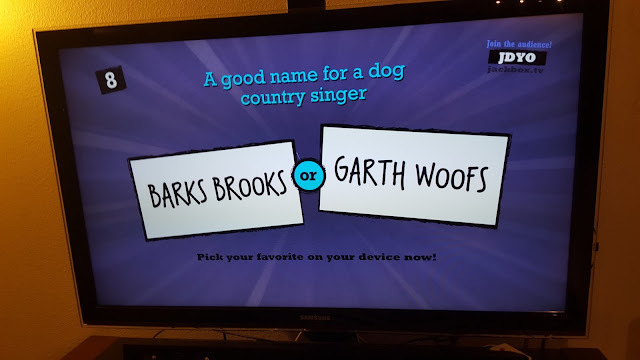 When you play it, you'll be shocked with how similar it is, but it's also a lot simpler and easier to learn than the others. Therefore, it's a perfect family game. The game itself is a cooperative 2-4 player game where players take turns moving their pawns around the Island, which is built by arranging the beautiful tiles at the start. As the game progresses, more and more island tiles sink, becoming unavailable, and the pace increases. Players use strategies to keep the island from sinking, while trying to collect treasures and items. As the water level rises, it gets more difficult, and sacrifices must be made. Similar to the other games, each character has unique special ability, and everyone must collect cards in order to collect the four treasures and escape the island before it sinks! My opinion: This is a great gateway game for non-gamers and also a great family game since it is easy to learn and a lot more simple than his other games. However, being a gamer, I have to say Pandemic is easily my favorite of the group. Besides piña coladas, what was the island drink of choice? 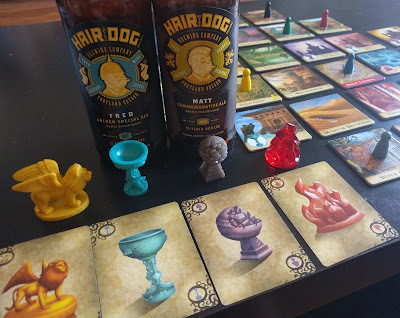 We decided to go with Hair of the Dog Brewing Company, which is one of the best (if not the best) breweries in Portland. Hair of the Dog was founded back in 1993 with the purpose of providing beer lovers with new and unusual beer styles. Each of their beers has its own name and unique identity like the people who have inspired them. 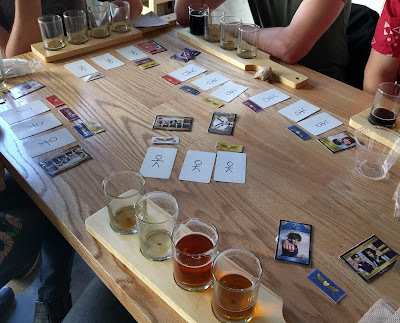 The ones we had were Matt (American Strong Ale, 12.5% ABV, 100/100 on RateBeer) and Fred (Barley Wine, 10% ABV, 99/100 on RateBeer), and both were incredible. My favorite beer of theirs, Adam, is not pictured but is a 10% ABV traditional ale that is also rated 100/100 on RateBeer. If you haven't noticed, almost every single beer of theirs is amazing. If you're ever in Portland, this should be the #1 brewer you go to.